It’s been ages since I’ve blogged. So much has been going on but I’m not going to talk about that now. I’m going to talk about the Zoo instead. Because Zurich Zoo is, for want of a better one, a great metaphor for all that’s awesome about this city. The location is lovely, if not utterly breathtaking (by Swiss standards!). Situated, high up on the hill (Zurichberg) near the home of Fifa and crazily expensive, super-indulgent luxury hotel, the Dolder Grand, the zoo has some of the best views in Zurich. It’s clean and well designed but still friendly with it. It’s obviously affluent but spends its funds well on continuous improvements (IMHO). The recently-opened Elephant House (or Elephant Hilton, as Himself calls it) is incredible. A huge indoor-outdoor complex with its own river, waterfall and elephant swimming pool! It’s part of a wider African Savannah section that’s due to open this summer, which looks like it will be equally impressive. It’s got great connections – I was impressed by Zoo Zurich’s link to Thailand’s Kaeng Krachan National Park, where the zoo supports a project to help protect Asiatic elephants. I also liked the fact they sold Thai food there and it has inspired me to make this satay sauce, ohmygoditisgood. It requires some effort, but you get out what you put in and it’s probably good for you anyway. Some of the walkways are quite steep and/or unmetalled but you can get around OK – a trip to the zoo thus constitutes a pretty good workout! And the air up there is clean and bracing. It’s sustainable. The new elephant house features cool sustainable design elements – rainwater is recycled, and there’s clever, low-power air conditioning and heating systems in place. I wouldn’t expect anything less in a city that sends most of its rubbish to biomass and even has a “recycling tram” to collect bulky waste. It’s manageable and knowable but still interesting. The zoo is not massive, but there’s new bits all the time and the various sections mean you can visit quite regularly but continue to have relatively different experiences. It’s expensive but good value. 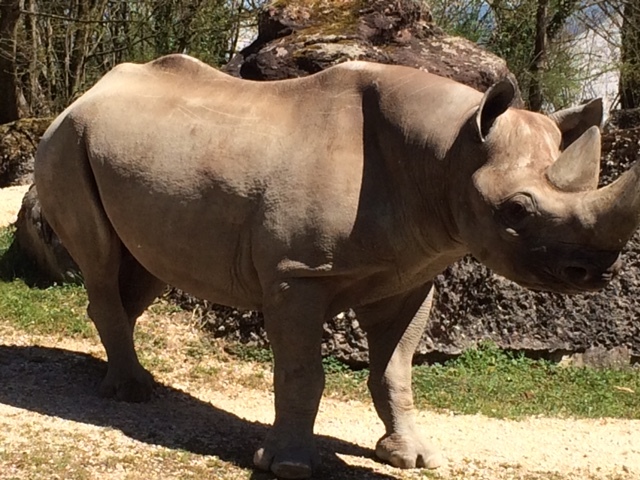 Like so many things in Switzerland, zoo entry comes at a hefty price: CHF26 entry for adults. But you get what you pay for. And for locals who buy an annual pass (not exactly a snip at CHF210 per family) it’s well worth the money. It’s surprisingly convivial. Because pretty much everyone in Zurich with zoo-age kids does have said annual pass, you’re bound to see someone you know here. Plus, because Zurich is such a managable size (pop. 350-400k) you’re even more likely to run into your mates. It’s child-friendly. Like most zoos! In many ways life is very easy in Zurich with kids. Transport is amazing. We are so spoilt for public transport in this city, it’s not funny. Two tram lines run from central Zurich up to the zoo and a tram leaves every 5-10 minutes, so even when there’s weekend crowds, you pretty much always get a seat, buggy room and a hassle-free journey. It’s open on Sunday. I’ve come to like the fact that most shops don’t do Sunday trading here. It really puts the brakes on the relentless retail addiction. And it kinda forces you to do nice family stuff – like visiting the zoo and/or enjoying a leisurely Sunday brunch. It’s a bit daggy. Zoos are not by their very nature particularly sophisticated places. I’ve said many times it’s like the 80s here in Switzerland (mostly in a good way) and this is no exception.